Steve Superville Creative Director for the Paragon game has taken to the official PlayStation blog this week to reveal the latest addition to the Paragon Hero roster with the introduction of Kwang, who will be available to play next week from October 4th onwards. 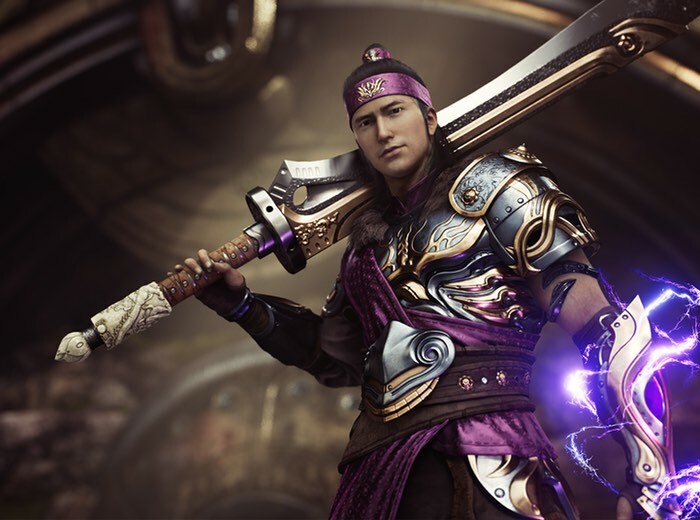 Check out the video below to learn more about the skills of the new Paragon Hero master swordsman Kwang, who is described as a “ durable fighter that excels at initiating”. A master swordsman, Kwang can utilize his Legendary Blade to change how and where he uses his abilities. As always, all Heroes in Paragon are free, so jump in as Kwang on Tuesday. If you can’t wait to get your Paragon fix, you don’t have to — Paragon is in free open beta, so you can download and play today. – Light of the Heavens — Beams of light strike Kwang’s sword, dealing AoE damage around it and giving him Physical and Energy Armor. – Judgement of the Heavens — Kwang throws his sword to the heavens. When it lands, it deals damage and tethers enemies to it. The sword remains planted in the ground forever, until retriggered or the next basic attack. – Gift of the Heavens — Passive: Kwang’s sword bursts with light, creating an aura around it that grants lifesteal to both Kwang and allies around him. – Fury of the Heavens — Kwang spins his blade around him in an AoE, damaging and slowing enemies. If his sword has been thrown and is out in the world he will teleport to it before attacking.